Fida Abbott, author of 'Enthusiasm", has been named one of '50 Great Writers You Should Be Reading'. Her honors came as a result of her appearance on The Authors Show. Abbott was chosen from a field of hundreds of authors through a public voting process. 'Enthusiasm' is a novel based on the author's own true story had won Pinnacle Book Achievement Award for category of novel in April 2010 and this year (2012) it will be released soon in Indonesian version by one of Indonesian Publishers, YKBK (Yayasan Komunikasi Bina Kasih) in Jakarta, Indonesia. Hundreds of thousands of books are written and published every year. Each represents months, years--perhaps decades of arduous effort on the part of these authors of that book. Though nearly all of these authors hope to achieve success, how that success is defined is specific to every individual writer. 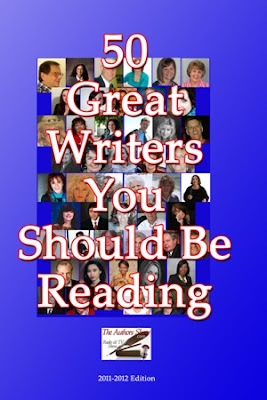 This book offers the stories of fifty such authors. As guests of The Authors Show, they have willingly bared their writer's souls to the world. Here you will find amazing stories of success and dismal tales of failure. You will hear narratives of dreams achieved and stories of hopes dashed. Above all you will hear, from the mouths of these writers, what it means to become a successful author.